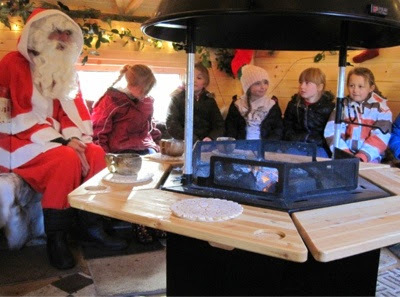 We are so excited to be visiting Santa in his Arctic Cabin this year! There are still a few spaces left, book now to avoid disappointment. Children will love to see Santa in his outdoor ‘green’ Grotto in The Rising Sun's festive Arctic Cabin and receive their special gift. There is no queuing and children are invited to make magical reindeer food to sprinkle in your garden on Christmas Eve. The whole family can soak up the yuletide atmosphere with hot chestnuts and juice around the campfire. Sounds magical! Monday to Friday, December 8 – 12, 3 – 5pm. £8 per child, £15 for 2 siblings, £22 for 3 siblings. To book TEL: 0191 643 2241, payment on booking (with credit or debit card).